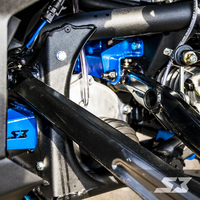 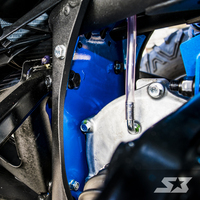 Increase the longevity of your Can-Am Maverick X3 suspension parts with the S3 Power Sports front gusset kit! 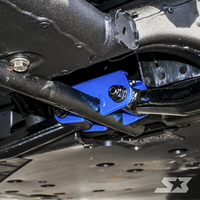 Engineered to reinforce the front a-arm mounting positions and prevent tabs from stretching, it also strengthens the frame. 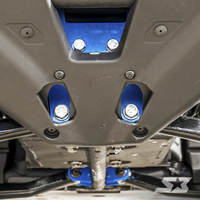 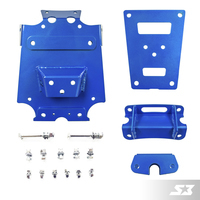 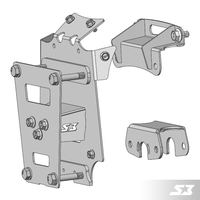 Designed for completely bolt on installation, our Can-Am Maverick X3 front gusset kit is built from laser-cut and CNC bent 7 gauge steel and includes our Lifetime Structural Warranty.